PHILADELPHIA – A federal judge granted a motion for summary judgment on May 8 to a stone container company that had been accused of negligence and not providing a safe work environment for a yard jockey who had allegedly been injured on the job. Robert L. King, Jr. and his wife Doris Regina King filed a complaint in the Philadelphia County Court of Common Pleas in October 2013 for negligence and loss of consortium against Rocktenn CP. The case was removed to U.S. District Court for the Eastern District of Pennsylvania. In their complaint, Robert King states he was employed as a yard jockey for Lily Transportation and working at a Philadelphia site owned and operated by Rocktenn. This site consisted of several loading docks and a warehouse facility. In his duties as a yard jockey, it was King’s job to hook and unhook trailers in order to move them in and out of the loading dock area. According to the lawsuit, some hours later after more snowfall had taken place, King was assigned to remove a trailer positioned at one of the loading docks, so that it could be replaced with another trailer in that same position. To complete this task, King had to hook the trailer onto a tractor. Because the overhead light affixed to the warehouse building is on the passenger side of the tractor, the lawsuit claimed it was dark on the driver’s side where King had to hook in the trailer. King was allegedly grasping a “hold bar” attached to the tractor with his left hand in order to steady himself while hooking the tractor to the trailer. After successfully completing the hook-up, King allegedly slipped while “maneuvering” to get back into the tractor. Upon slipping, all of King’s weight shifted onto his left shoulder causing a “pop” and King to fall, the lawsuit says. However, King finished both his scheduled shift in addition to working overtime before his relief arrived, at which point he sought medical attention. Though initially diagnosed as a sprain, later MRI tests confirmed tears in King’s shoulder which required surgical treatment, says the lawsuit. The Kings’ lawsuit claimed Rocktenn was negligent in maintaining the premises to keep both it and related work equipment clear of snow and ice, which they say was the primary causation factor in King’s fall from the tractor. Following a series of extensions, Rocktenn filed for summary judgment in March of this year. After examining the evidence, Judge Robert F. Kelly issued his decision on the matter on May 8. “The motion for Summary Judgment filed by defendant is premised on two distinct legal theories that act to absolve a landowner of liability under Pennsylvania law. First, defendant asserts that its liability is negated by the Hills and Ridges Doctrine (“H&R Doctrine”) because plaintiffs cannot show that an unreasonable accumulation of snow or ice was in the area of the incident,” Kelly wrote. It was the belief of the court that the snow constituted a dangerous condition which was “obvious and avoidable,” whereby a “reasonable” person on the business premises who exercises “normal perception, intelligence and judgment” assumes the risk of taking precautions to prevent harmful contact with said condition, citing Pennsylvania Supreme Court precedent from Carrender v. Fitterer. Kelly referred to a “significant” amount of convincing evidence King was aware of the snowfall hazards on site that day. The evidence included the plaintiff’s own verbal testimony, video footage of the site taken by the plaintiff appearing to match snowy conditions of the day in question and the testimony of King’s co-worker Sommorow Bryant, who claimed everyone on site on Jan. 27, 2011, was aware of the snow-covered conditions present in the work area. Kelly determined “reasonable minds” could not disagree King was aware of the dangers presented at his workplace due to the snowfall and dismissed his and wife’s loss of consortium claims in full, while granting Rocktenn’s motion for summary judgment. The plaintiffs were represented by Joseph J. Urban of The Law Offices of Vincent J. Ciecka in Pennsauken, N.J. 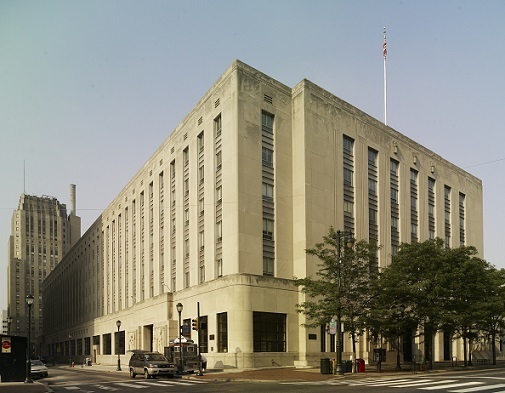 The defendant was represented by Gregory M. Stokes and G. Daniel Bruch, Jr. of Swartz Campbell in Philadelphia.